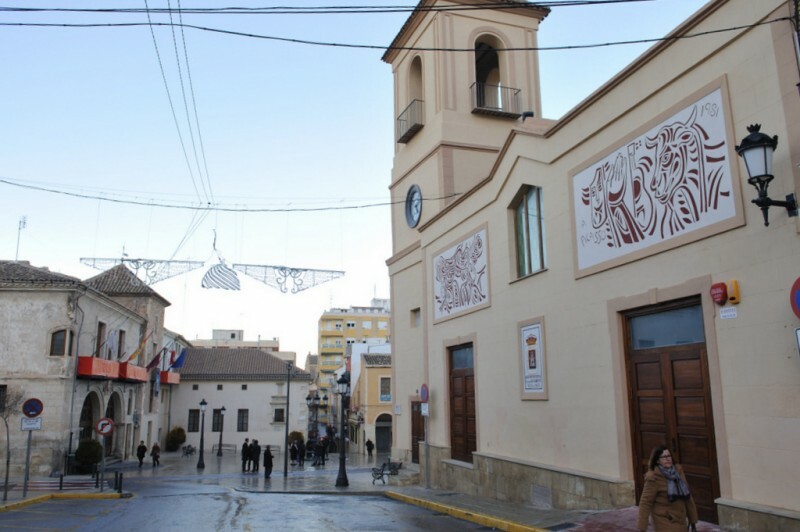 The Basílica Arciprestal de la Purísima is the most important church and the most emblematic building of Yecla in the north of the Region of Murcia, and is dedicated to the “Purísima Concepción de Nuestra Señora” (the Immaculate Conception). 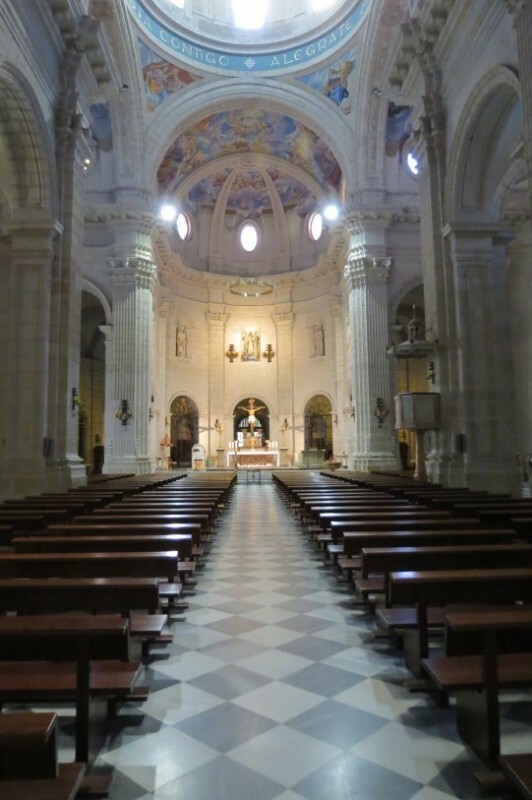 However, locals tend to shorten this, and the basilica is most often referred to as simply “La Purísima” or the “Iglesia Nueva” (the new church). 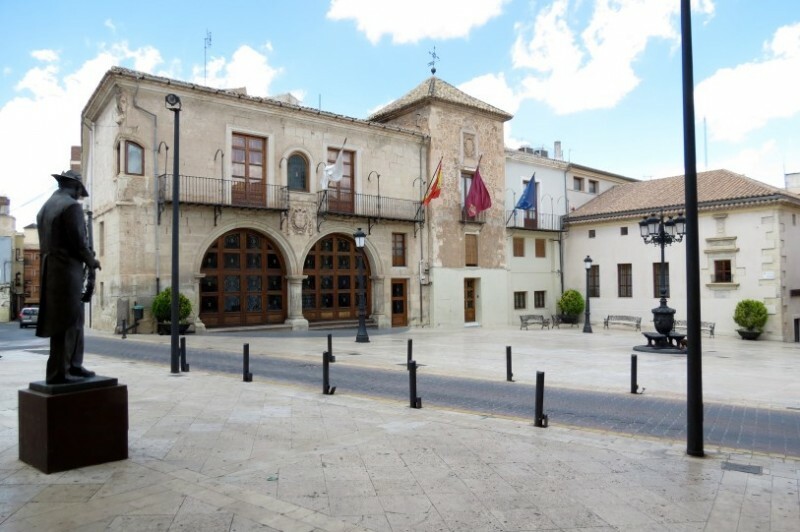 This nickname is still applied despite construction having started around 250 years ago, and is explained because it replaced the older church dedicated to Santa María de la Asunción as the most important place of worship in Yecla. Nowadays, the Basílica is not only a place where the faithful can attend Mass, but also the home of the image of the Patron when she leaves her sanctuary every December, and as such is the centre of the annual fiestas in her honour. The Basílica Arciprestal de la Purísima Concepción in Yecla was built in the heart of the town in two main stages, the first of which began in 1775, when José López drew up the plans and began work. 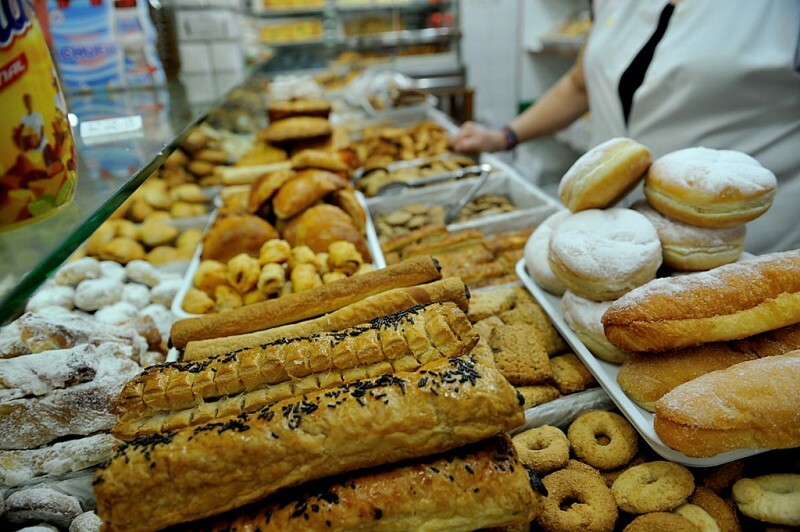 However, it was not until 1868 that it was completed under the supervision of Jerónimo Ros, and this century-long process was market by conflict and disagreements at many points. 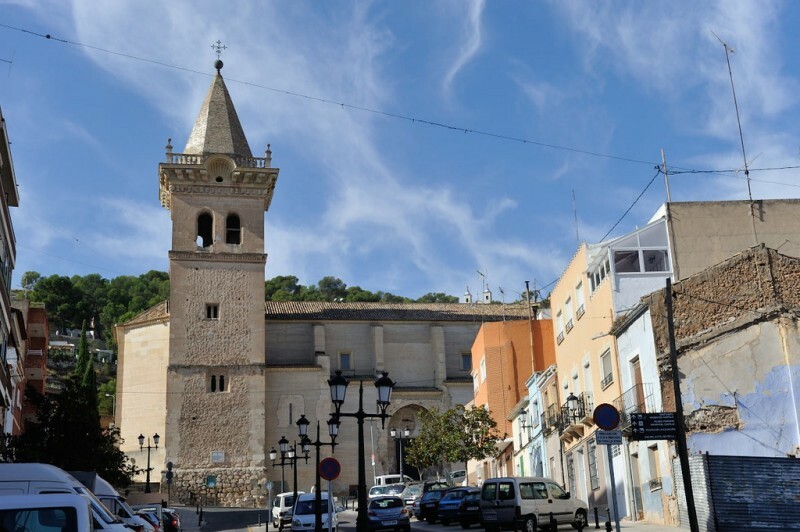 The need to build a new parish church in Yecla arose in the second half of the 18th century in order to cater for a rising population and the resulting swelling of the congregation, and was identified by a local preacher named José Ibáñez Soriano as early as 1742. However, while the Town Hall agreed in principle, the project was difficult to finance, and progress was painfully slow. Permission to build a new church was requested from the Diocese of Cartagena in 1765 and granted in 1772, and the first stone was laid on Sunday 22nd October 1775 (an event which is commemorated by an inscription on the north-west corner of the main façade). However, construction was to be interrupted on numerous occasions. 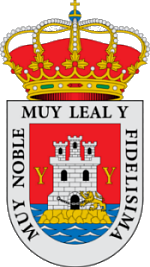 The plans produced by José López, who also collaborated on the design of the façade of Murcia Cathedral, were approved in 1774, but by 1777 the works foreman demanded that he be removed from the building work. 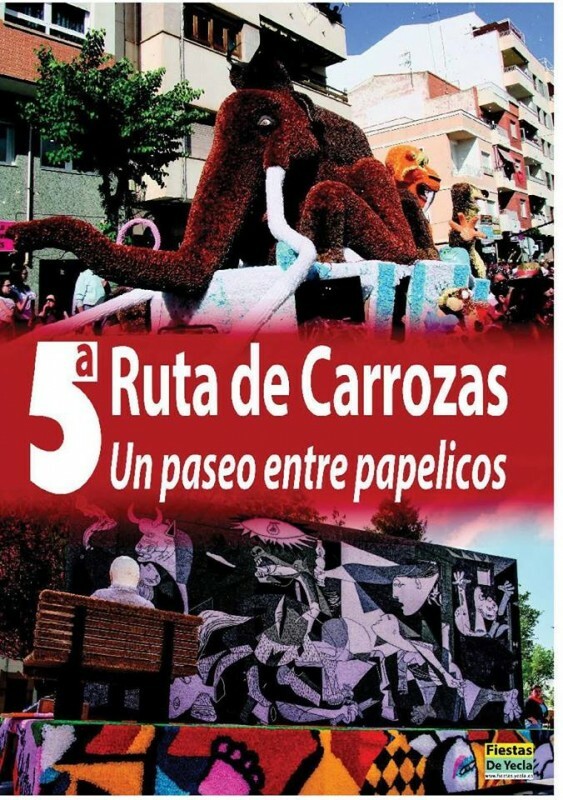 This eventually happened, and the Bishop commissioned new plans from Mateo Bolarín and José Alcami. In 1780 work re-started, but economic problems soon re-surfaced and by 1793, when the arches of the chapels were already upright, the funds ran out and work stopped again for ten years. 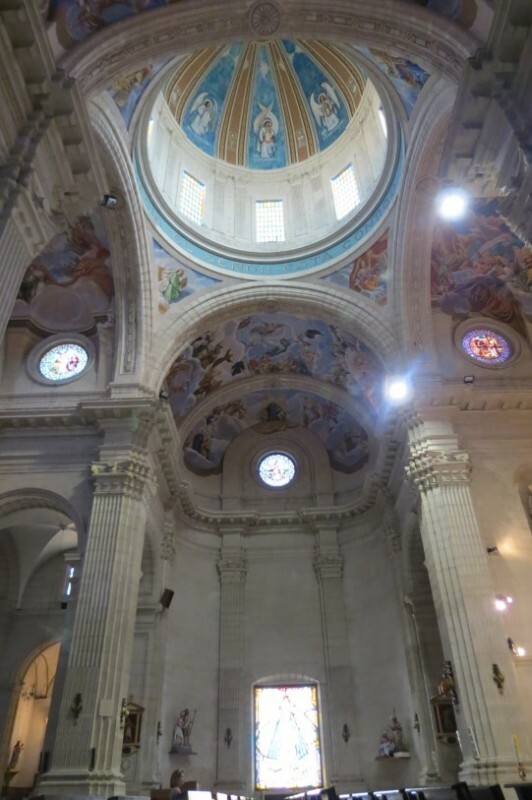 Further interruptions followed, notably during and after the Peninsular War (1807-14), and it was not until 1859 that a further re-design was commissioned from Jerónimo Ros, a neo-classical architect who was responsible, among other things, for the dome. Work was finally declared complete in 1868, but it is still possible to detect signs of the prolonged struggle to build the Basílica, such as the fact that not all of the columns have been fully sculpted and the main façade was never completed as intended. The murals which decorate the interior of the church were created in the mid-20th century by Manuel Muñoz Barberán (and Rafael Roses de Rivadavia in the case of the dome), and the figures of religious scenes which are part of the annual Easter Week processions include work by such notable artists as José Lozano Roca, Miguel Torregrosa and Francisco Salzillo (see below). 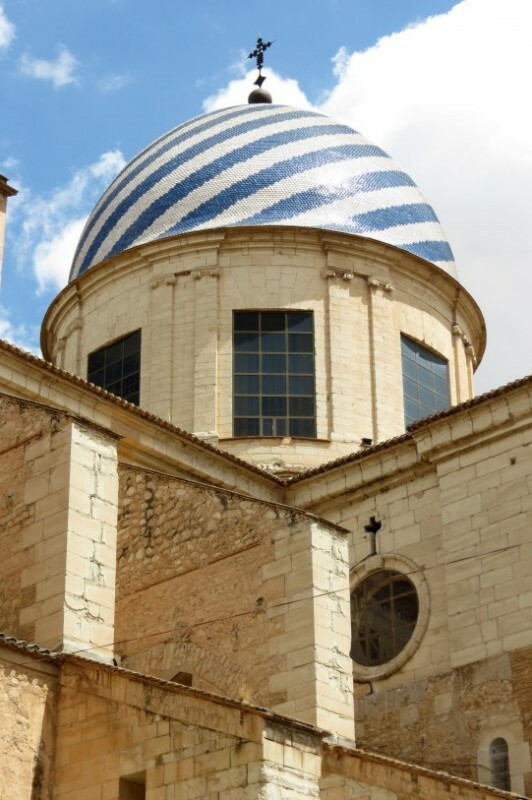 Despite the difficulties faced in building it, there is no doubt that the Basílica de la Purísima is the most readily identifiable of all of the buildings in Yecla, with its blue- and white-tiled roof standing out on all panoramic images of the town. 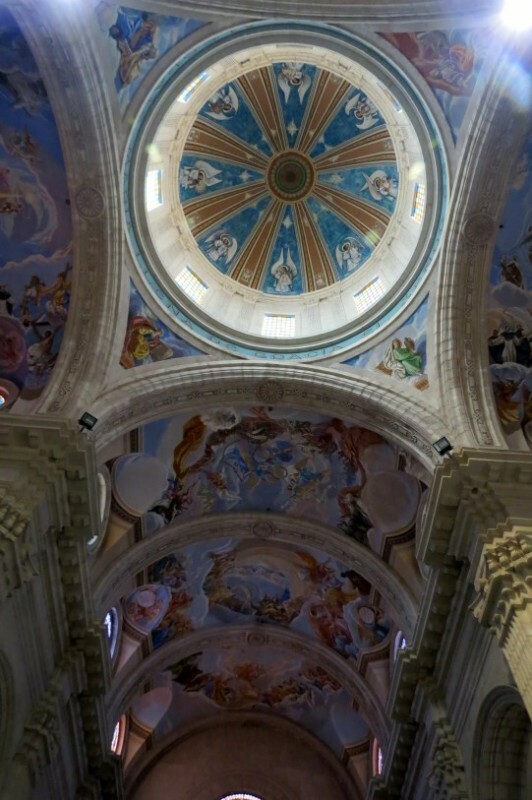 The Basílica features a triple nave, each of the three being separated by semi-pointed arches, and is mostly built in the neo-Classical style. 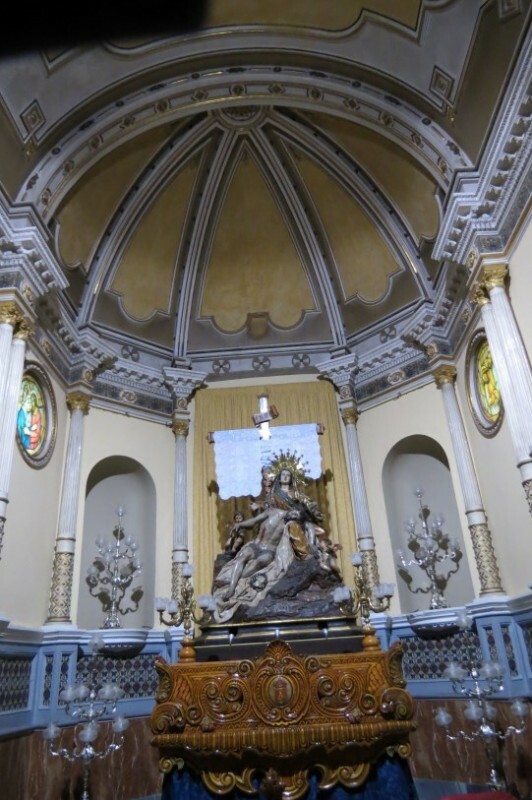 Of particular note is the altar screen with the images of the Sacred Heart and Christ keeling before the Cross, both created by José Esteve Bonet (1741-1802). Over the central nave and the transept is an enormous vaulted ceiling with geometrical decorations, while the side naves feature dome-shaped vaults. The dome features eight large rectangular windows. The largest of the many chapels is the Communion chapel, built in 1872, a decagonal room illuminated by roof windows. The main façade was intended to consist of three main doors, but the sculpting of the columns was clearly left unfinished and the front of the building is very sparsely decorated. The main entrance is reached by climbing a set of steps which was made necessary by the sloping terrain. 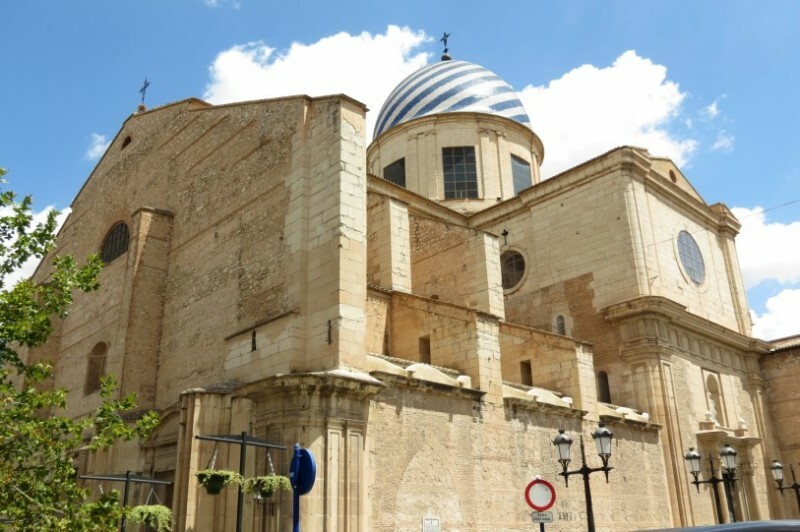 There is a small bell-tower at the north-west corner of the Basílica, but the most characteristic element of the building is without any doubt the dome, the decoration of which calls to the minds of many the typical appearance of a mosque rather than a Christian place of worship! The Virgen de las Angustias by Francisco Salzillo: the figure of Mary suffering after witnessing the Crucifixion, created by the master sculptor of Murcia in 1764. The sculpture was previously housed in the church of San Francisco, also in Yecla, where a chapel is dedicated to the Virgen, but was moved during restoration work. Jesús Nazareno by Francisco Teruel: this 20th century sculpture shows Jesus of Nazareth on his way to Calvary, carrying the cross on which he was too be crucified. San Pedro by Miguel Torregrosa: another 20th century figure, this one created by Miguel Torregrosa, who is best known for his work in Alcoy (Alicante). It shows Saint Peter in a green ankle-length tunic. Cristo de la Misericordia by José Lozano Roca: the figure of Christ of Mercy, the lifeless body of Jesus on the Cross. Dolorosa (artist unknown): this is an older piece, dating from the late 18th or early 19th century, showing Mary in a pose not associated with the master Francisco Salzillo (who preferred to show her expressing her grief with her arms outstretched and looking up at heaven). The Cristo de la Misericordia and the Cristo del Ecce Homo are located close to the entrance to the church, and the ambulatory contains the figures of the La Virgen de Carmen, Nuestro Padre Jesús (by Francisco Teruel), the Virgen de las Angustias (Francisco Salzillo), San Pedro (Miguel Torregrosa), the Virgen de los Dolores (or “La Dolorosa”) and the Virgen de las Ánimas.